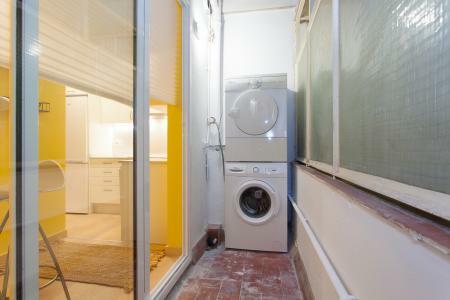 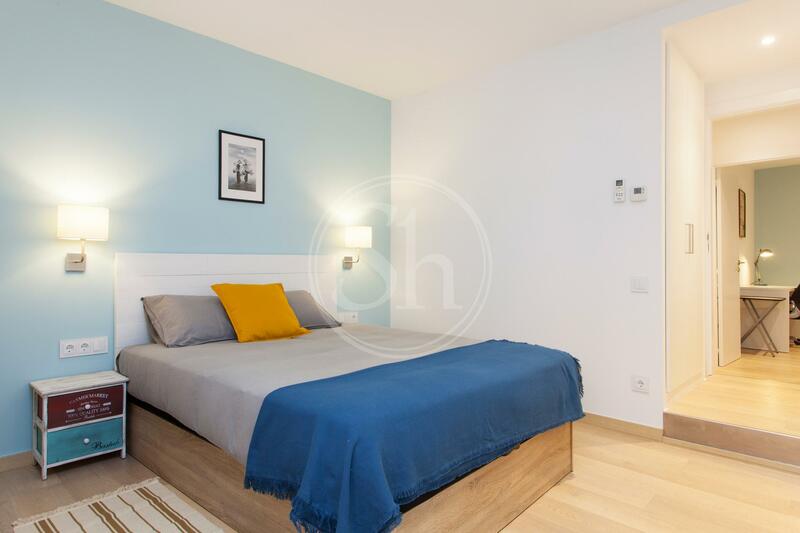 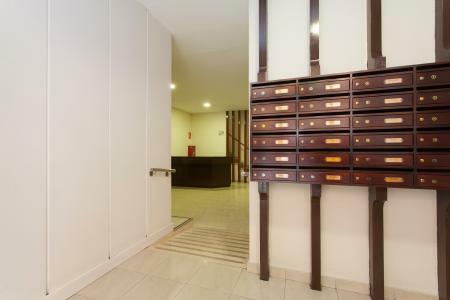 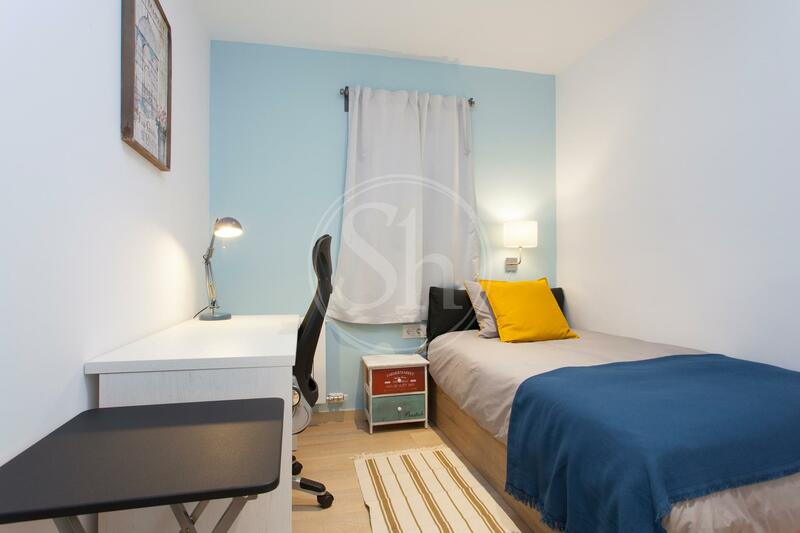 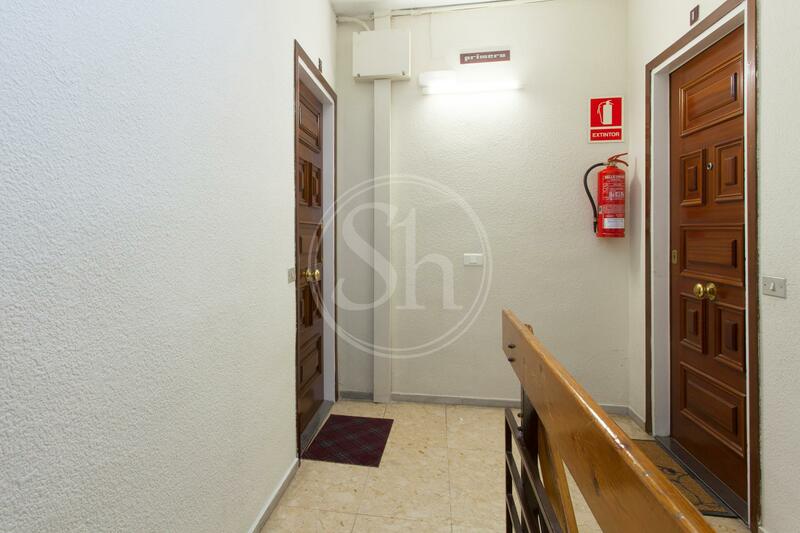 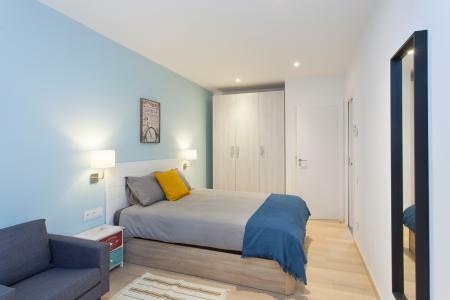 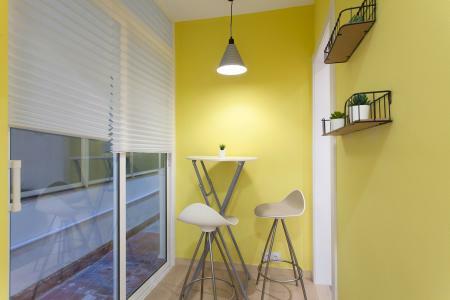 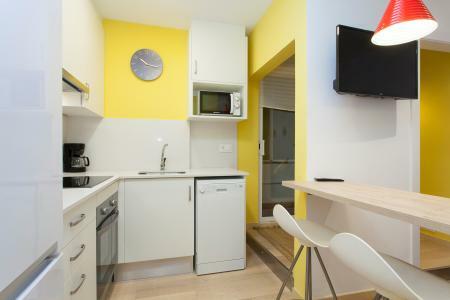 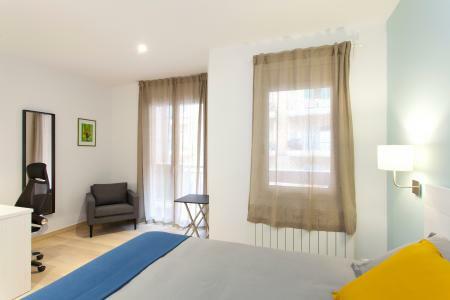 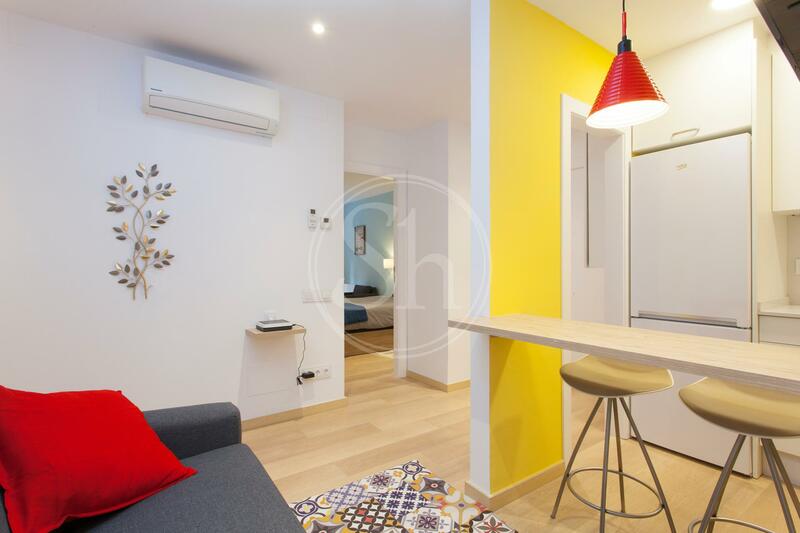 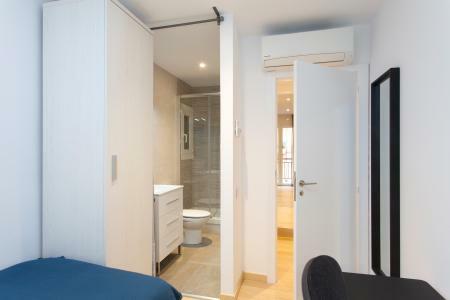 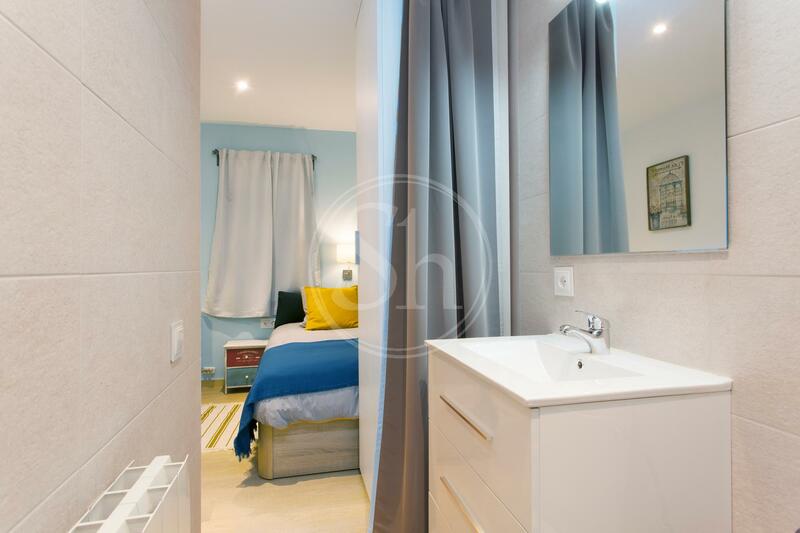 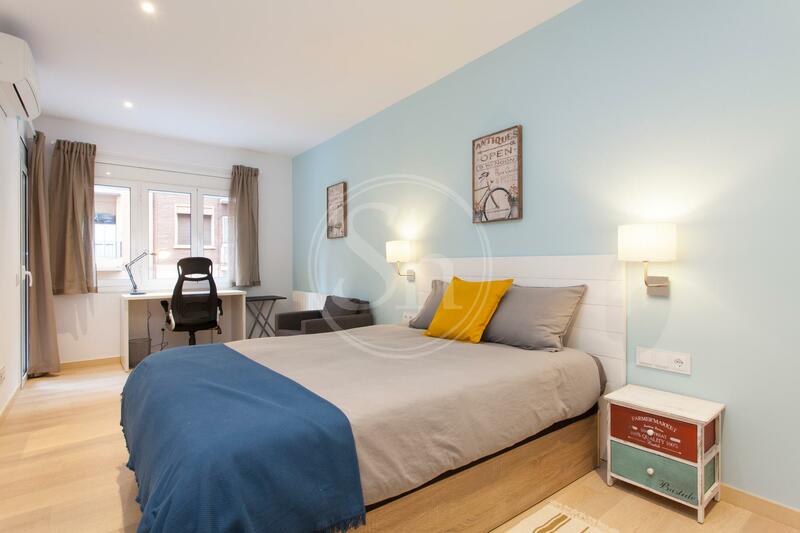 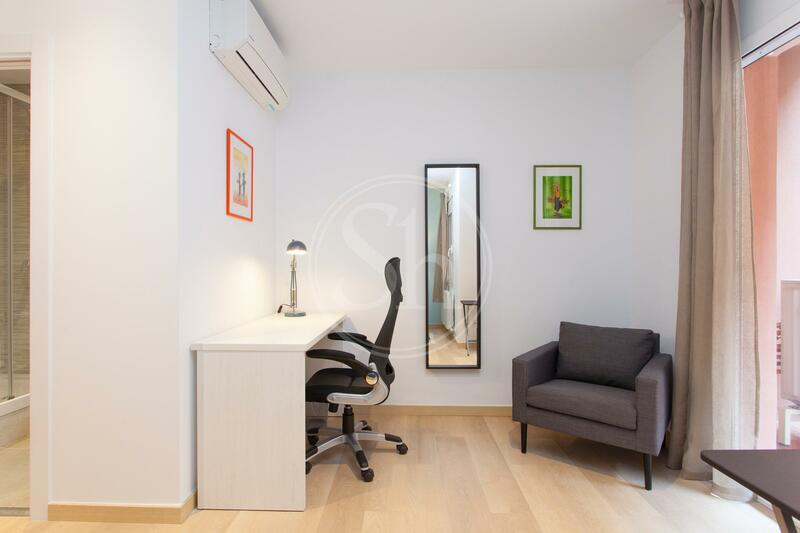 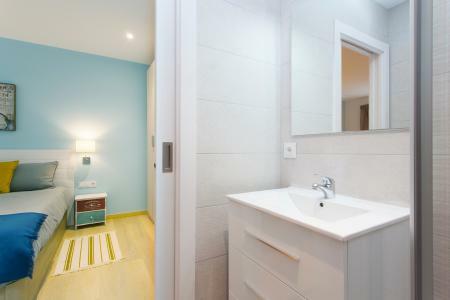 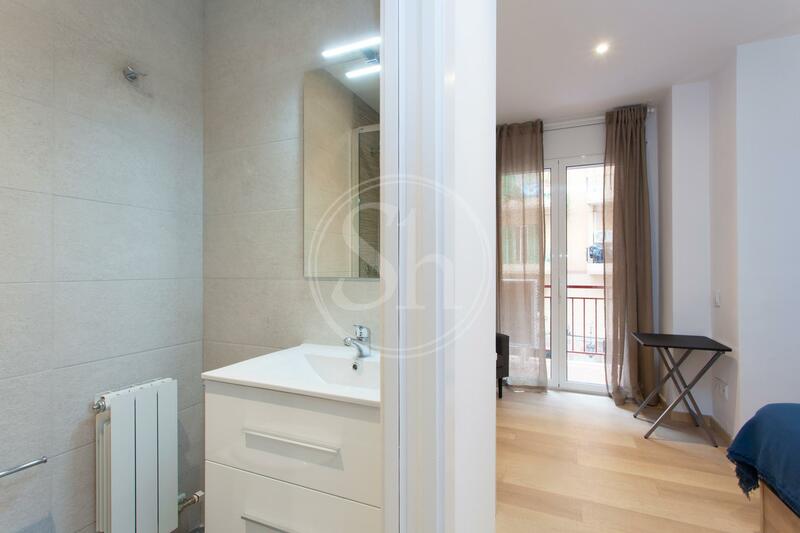 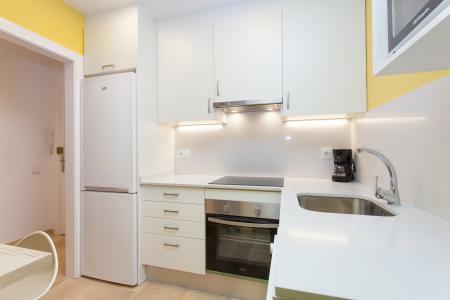 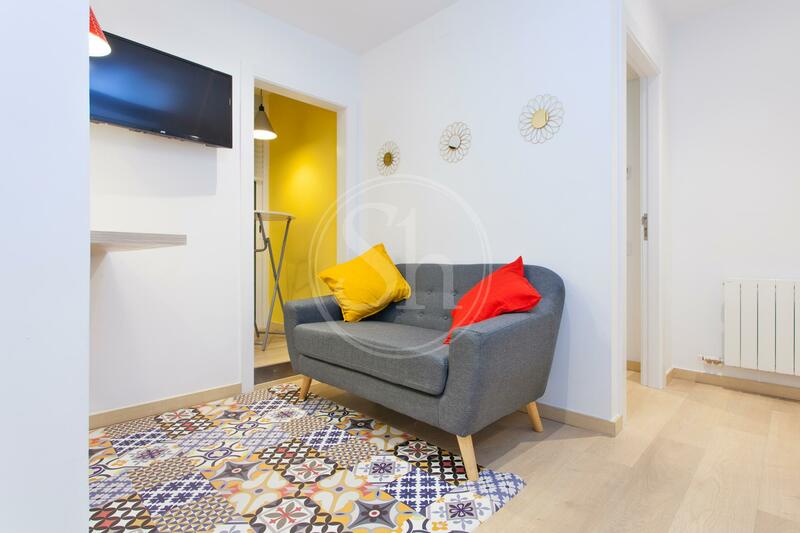 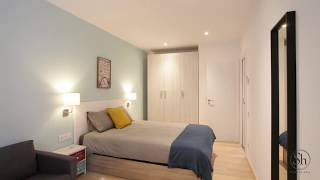 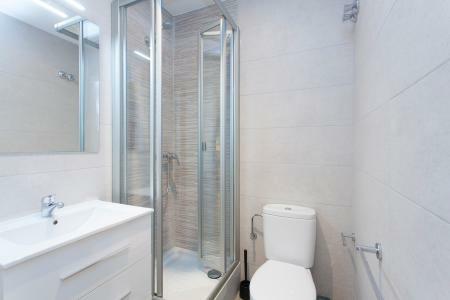 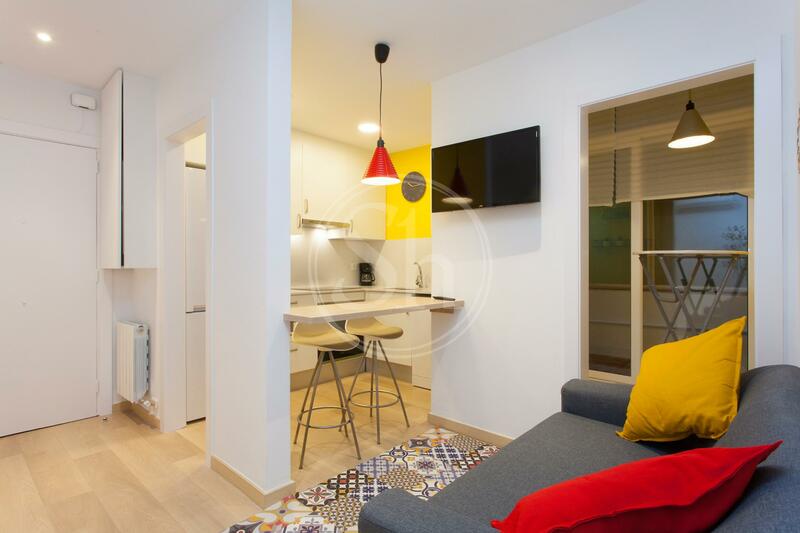 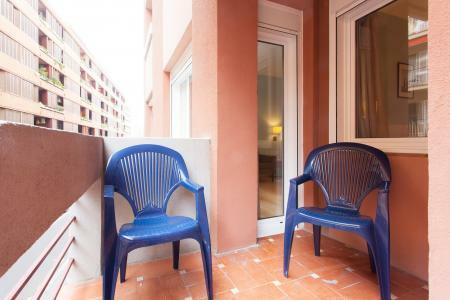 ShBarcelona presents this impressive flat in the Gracia district, fully furnished and equipped, perfect for students. 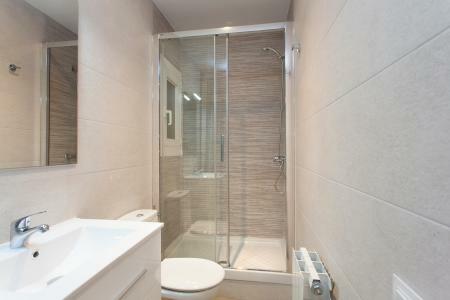 It has three bedrooms, two doubles and one single, plus three bathrooms with showers. Each room has its own study area and plenty of storage space. 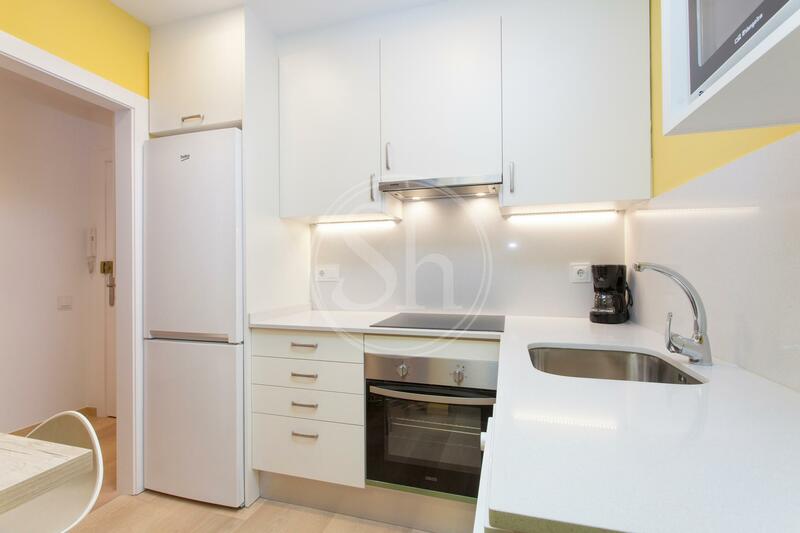 The open-plan kitchen joins with the living room and is fully equipped containing a breakfast bar and stools. The property also has a beautiful balcony overlooking the street. It comes with air conditioning, heating, washing machine, dryer, high-speed internet connection and TV. 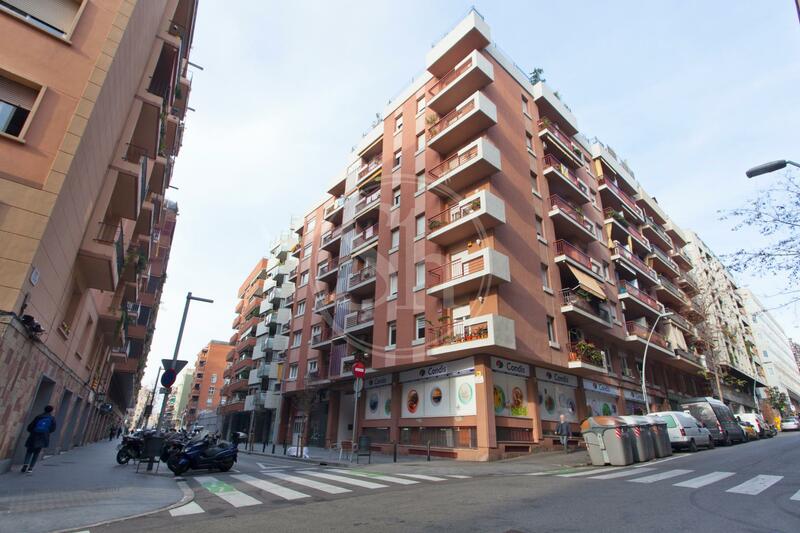 Gracia is one of the ten districts that make up the city of Barcelona, the greatest artistic attraction this area offers is without a doubt the Park Guell, a highly admired work of Antoni Gaudí. Gracia is full of social activities, the Fiesta Mayor de Gracia that takes place every year around mid-August is a perfect example of this and demonstrates the fantastic atmosphere this area can offer, the festivities of Gracia are popular throughout Catalonia and attract locals and many foreigners. 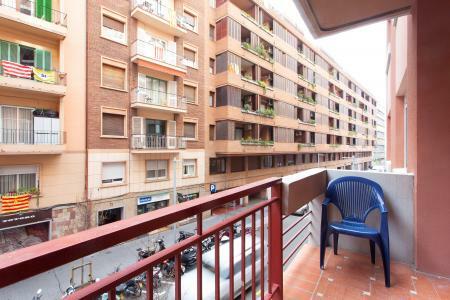 Gracia retains an independent character despite still being part of Barcelona for more than a hundred years, there is something very special and unique about this part of town. 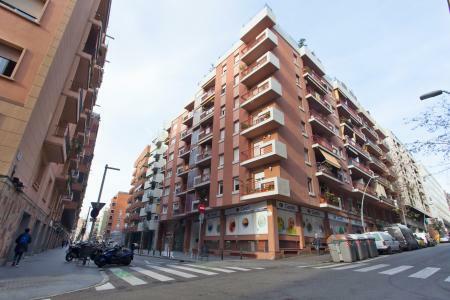 The area is very well connected with the rest of the city by public transport, the nearest metro stop is Alfons X, L4. ShBarcelona can help with all your rental needs, we are aware of all areas in urban leasing, please contact us for more information.